Indicate whether the vehicle was towed and if ‘yes’, under which circumstance. The method and circumstance to which the involved vehicle left the scene. Towing assistance without removal of the vehicle from the scene, such as pulling a vehicle out of a ditch, is not considered to be towed for the purposes of this element. The field Towed From Scene with the ‘yes, vehicle or trailer disabled’ attribute selected is important for identifying non-injury, “tow-away” crashes due to damage sustained in the crash. This information is vital to Federal Motor Carrier Safety Administration in their selection criteria for truck and bus crashes. 1 Yes, Vehicle or Trailer Disabled This attribute is used for any towing which is due to disabling damage caused by this crash which prohibits vehicle movement under its own power. Vehicles which could be driven but would be further damaged by doing so should be counted as disabled. 2 No This attribute is used for a vehicle that can depart the scene of the crash under its own power (not disabling damage) and did not have to be towed for other reasons. A vehicle that can be driven but would be further damaged by doing so should be considered disabled. 3 Yes, Other Reason Not Disabled The vehicle did not sustain disabling damage, but the vehicle was removed from the scene of the crash by tow truck or other vehicle for other reasons (e.g., arrest). For a vehicle that is towed both because it is disabled and for other reasons (e.g. driver arrest), use the attribute ‘yes, vehicle or trailer disabled’. 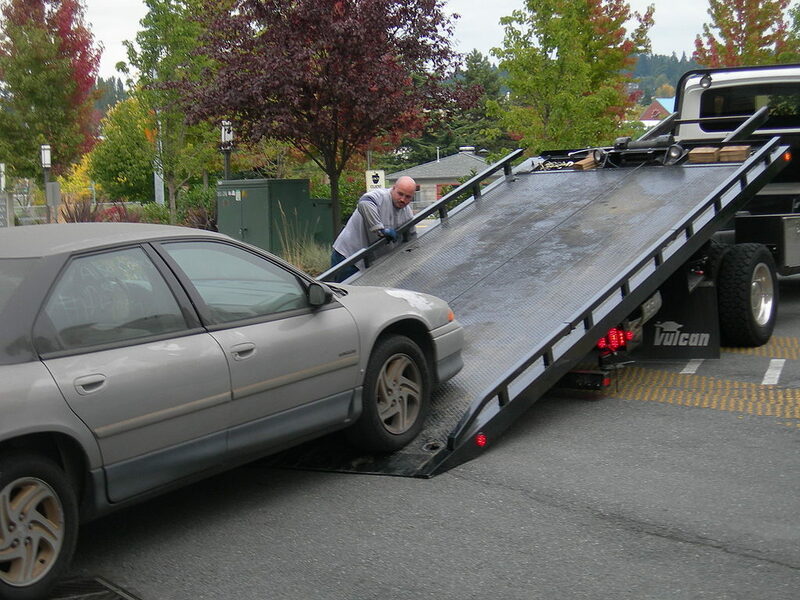 If the value of Towed from Scene is ‘yes, vehicle or trailer disabled’, then Damage Area Code cannot be ‘none’. The Towed from Scene field was the field in the vehicle section of the report that had the highest frequency of unacceptable information, at 57 percent. State Police left this field empty 100 percent of the time, likely revealing a systems issue, either with RAMS or the RMV. Local police left this field empty in 9 percent of reports submitted electronically, and in 12 percent of the reports submitted via paper. In some instances, the field was left empty because it was a parked car. Auditors representing law enforcement felt that officers were not sure how to complete information regarding parked vehicles. When comparing this data to the 2008 audit, the percentage of acceptable reports decreased by 30 percent.